Mumbai: The country’s second largest mobile services firm by subscriber base, Reliance Communications Ltd (RCom), on Tuesday announced the nationwide launch of its Global System for Mobility, or GSM, wireless service. Beginning on Wednesday, the service will be available in 11,000 towns and 340,000 villages and will reach 24,000 towns and 600,000 villages in a few months, RCom chairman Anil Ambani said at a press conference in Mumbai. “We have invested Rs10,000 crore as GSM capex (capital expenditure) till now and will be spending a few thousand crore going forward," he said, noting that the rollout was six months ahead of schedule. 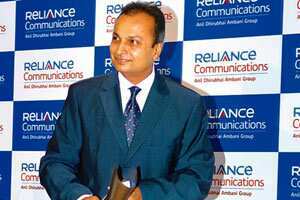 While Ambani declined to give a break-even period or tariff plans, RCom’s president for wireless operations S.P. Shukla said, “The pricing will be announced for each circle separately and, barring a couple of common offers, each circle will have a unique customized solution depending on whether it is a metropolitan or a rural area." The wireless market has 22 circles. RCom added 1.77 million users in November, taking it’s total number of subscribers to 59.6 million. The firm’s shares rose 7.16% to Rs228.10 on the Bombay Stock Exchange, beating the bellwether?Sensex?index, which rose 1.92% to 9,716.16 points.